Current perspectives on Latin America’s role in the world tend to focus on one question: Why is Latin America always falling behind? Analysts and scholars offer answers grounded in history, economic underdevelopment, or democratic consolidation. 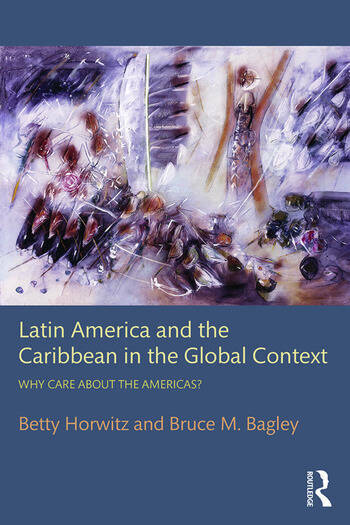 Bagley and Horwitz, however, shift the central question to ask why and to what extent does Latin America matter in world politics, both now and in the future. This text takes a holistic approach to analyze Latin America’s role in the international system. It invokes a combination of global, regional, and sub-regional levels to assess Latin America’s insertion into a globalized world, in historical, contemporary, and forward-looking perspectives. Conventional international relations theory and paradigms, introduced at the beginning, offer a useful lens through which to view four key themes: political economy, security, transnational issues and threats, and democratic consolidation. The full picture presented by this book breaks down the evolving power relationships in the hemisphere and the ways in which conflict and cooperation play out through international organizations and relations. Betty Horwitz was a lecturer in the department of international studies at the University of Miami, where she received her PhD. Bruce Bagley is professor in the department of international studies at the University of Miami. His research interests are in U.S.-Latin American relations, with an emphasis on drug trafficking and security issues.